When my blog first started out, I only ever wrote about beauty, hair and all that jazzzz, now Simple Things is pretty much a predominantly fashion blog. However, I still love to share with you some products that I'm loving every now and again. The other week I popped into my local hair dressers, Samuel Peter, to get my mop trimmed a little. I absoloutley love going there because 1. The staff there are all fabulous and 2. I adore their interior haha. 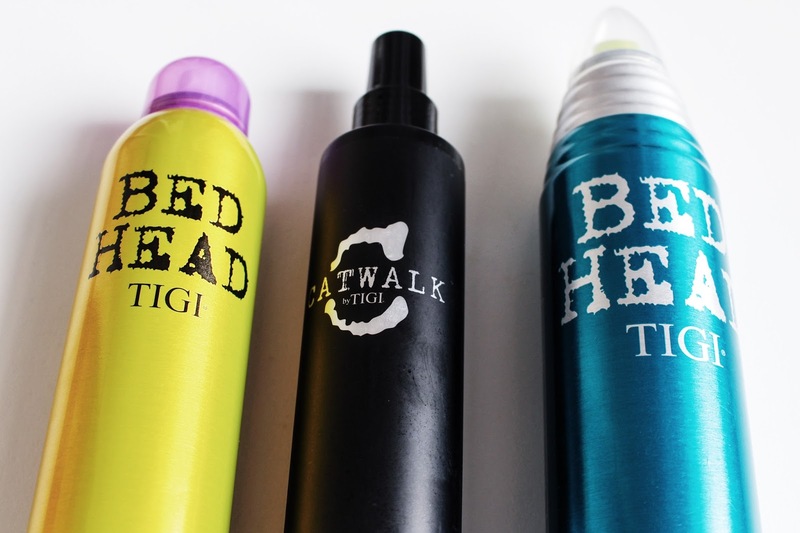 After having my hair cut, they kindly sent me off with 3 products from TIGI to try out. Since I got a few little layers cut into my hair they suggested that I tried out the Oh Bee Hive! Matte Dry Shampoo, Salt Spray and Masterpiece Massive Shine Hairspray to help give my hair a little bit of texture. 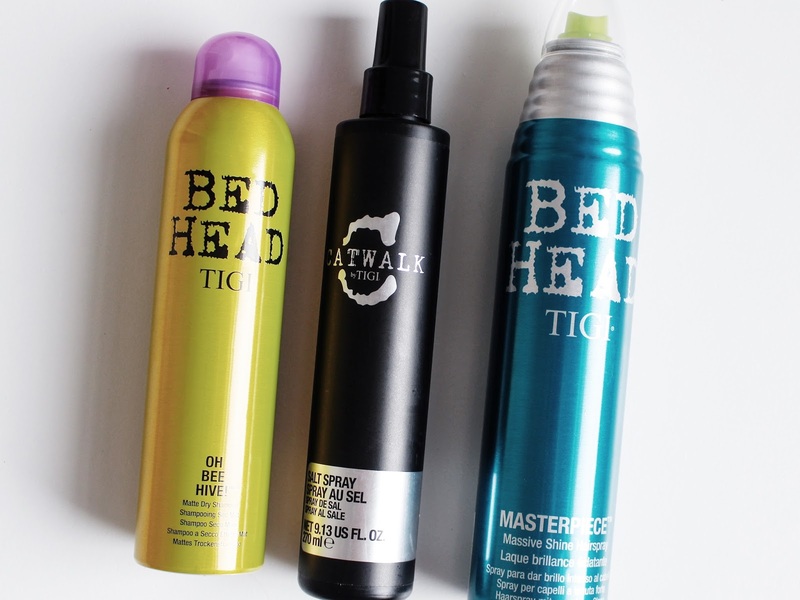 I have absoloutley been loving using all three, especially the Oh Bee Hive! dry shampoo. I find that it gives my hair so much volume and makes my layers look super edgy, which I luuuurvvveee (don't judge me for typing that like an 11 year old haha). 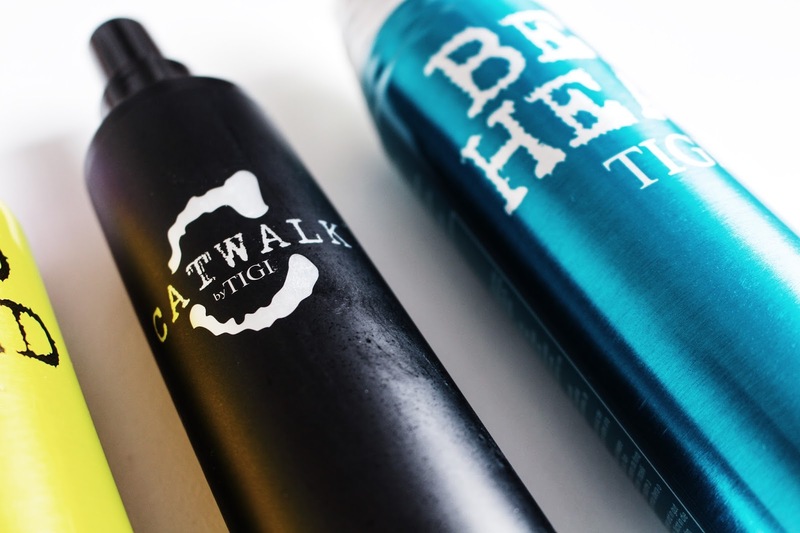 The Salt Spray is perfect for adding texture to my hair. I have quite thin and flat hair, so anything that can help my hair be a bit messier and more fun to play around with is perfect in my books. Lastly, the hairspray is brilliant for setting my style in place and I know for a fact that my Mum is actually obsessed with this stuff. It just gives your hair such a gorgeous finish and helps to hold it all in place! Go grab some to try out ready for Christmas party time, go go go!